Computer GK Sample Question Paper No. 49: Computer GK Sample Question Paper as part of Computer GK Sample Papers for Competitive Exams, PSU Exam, State Govt & Central Govt. Examinations held each years. 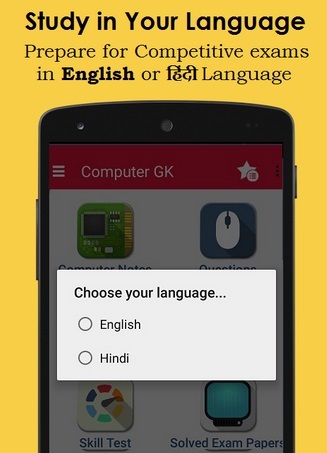 Computer GK Questions which you can access from our Free Mobile App of "COMPUTER GK" from Link: DOWNLOAD COMPUTER GK Mobile App . Here is sample Question paper as part of Computer GK Questions for upcoming examinations.